I’ve always been interested in handcrafts, even when I was young. The first time I’d ever heard of tatting was when my sister brought home a note card with a multicolored tatted flower glued onto one corner. I fell in love with the tiny blossoms, so much so, that I ordered several dozen of the cards to use as thank you notes for my wedding gifts. So what exactly is tatting? It’s a form of lace making, which involves wrapping thread around one or two shuttles and using the shuttles to guide the thread into patterns of knots to create rings and chains in delicate designs. To make the lace, the tatter wraps the thread around one hand and manipulates the shuttle with the other hand. No tools other than the thread, the hands, and the shuttle are used, though a crochet hook may be necessary if the shuttle does not have a point or hook. Tatting consists entirely of small rings, or rings and arched chains. These rings and chains are usually embellished with picots (tiny loops of thread between stitches.) Some picots are purely decorative, but others are used for the important function of joining elements together. Surprisingly, only one simple knot is used throughout, the Lark's Head, which consists of 2 half hitches. Lace has always been popular, but back when it was all handmade, it was very expensive to buy. Tatting was a fairly quick way to create pretty lace, although the learning process can be difficult. Historically, tatting was used to create doilies, reticules, bonnets, lacy collars and cuffs, bookmarks, and designs to be framed and hung on the wall. 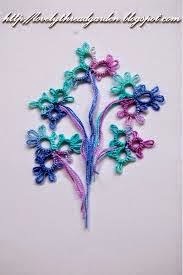 Needle tatting is another form of tatting. Instead of using a shuttle, you use a needle, which you wrap loops around. Tatting is a fairly new craft, emerging in the first half of the 19th century. It gradually evolved from knotting, which was popular in the 18th century. The end product of knotting is embroidery, but the finished product of tatting is lace. However, they both involve making knots with a shuttle and thread. 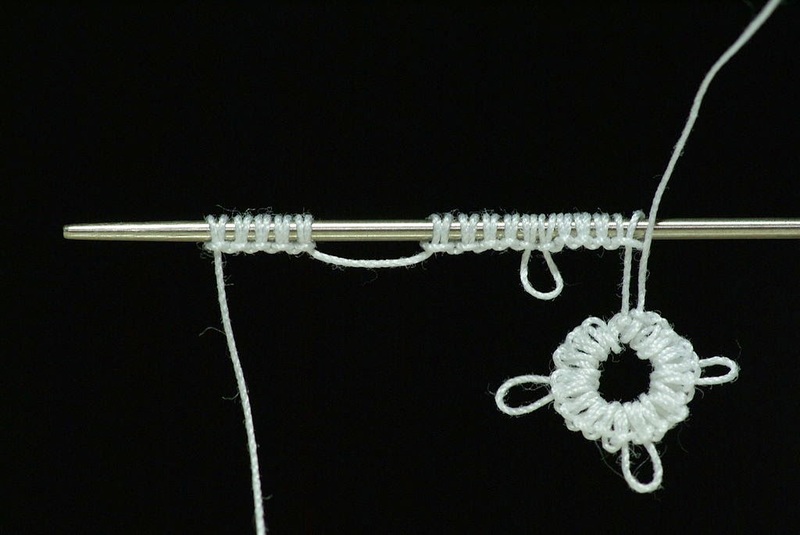 Knotting produced a thread with a raised texture, which could later be used for couched embroidery. Tatting is a popular craft in Europe, although no one is certain of it origins. The German word for tatting is schiffchenarbeitm, which means 'the work of the little boat,' which refers to the boat-shaped shuttle. The Italians call it occhi, meaning 'eyes,’ which refers to the rings, which make up the lace. In France, it is called frivolite. In Finland, tatting is called sukkulapitsi, which combines two words: sukkula, which means shuttle, and pitsi meaning lace. Doing handwork allowed the historical woman to sit and rest, while being useful at the same time. It enabled her to show off her industriousness and creativity. 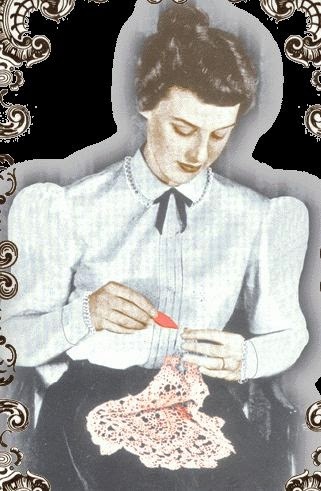 Small pieces of work such as lace making, were acceptable items to occupy one’s time while visiting and could be brought to a friend’s house for a bit of work over tea and pleasant conversation. 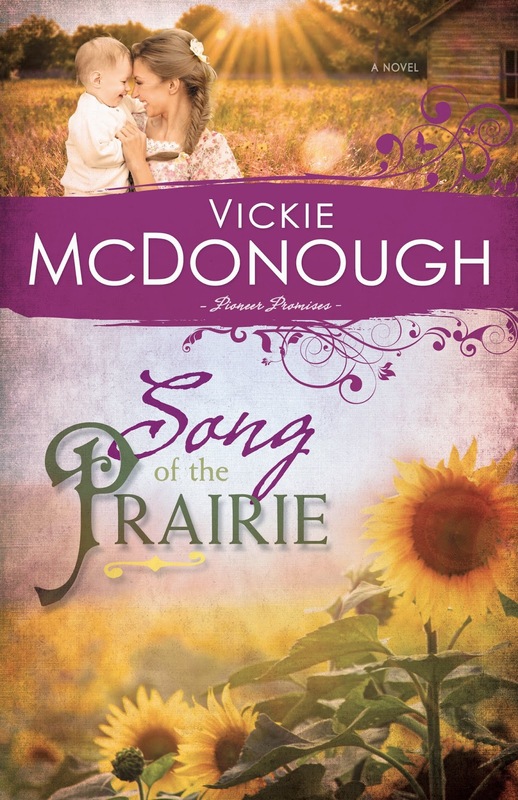 Song of the Prairie, releases August 15th, but is now available for pre-sale. Janie Dunn’s dream of being an opera singer suddenly fades when, at her dying cousin’s request, she flees Boston with her cousin’s newborn son to protect him from his abusive father. She moves to Kansas to live with her brother, but life takes another dire change when he is suddenly killed. Is a marriage of convenience the answer to her problems? Is Kansas far enough away from Boston that they are safe from the baby’s vengeful father? I tried to tat when in High school still have the shuttle but I couldn't work it out. mine pulled from the wrong way. I really wanted to learn as it really interested me. I can crochet but cant tat. Tatting is one craft I haven't attempted. I'm left handed, and it seems the teachers I find are always right handed, so it takes longer to learn, because I'm doing it backwards from them. I gave up on knitting and crocheting and took up counted cross stitch for many years. I think that was my problem I was doing it like a left hander just couldn't work it our. I like cross stitch too but since I have had these headaches and a sore neck that out for a bit. I never could get the hang of crochet or knitting, but did learn to smock. Love smocking. I can teach you, if you'd like. It's a great hand sewing skill. I love the look of smocking on clothing, especially baby's outfits. I never tried learning it, though, because I had four sons and never made any of their clothes. I have been blessed with a grand-daughter, but I don't sew for her either. Thanks for the offer to learn though. That's kind of you! I have always thought tatting was beautiful. For some reason, my head and my hands don't work together so I don't do handwork but I am in awe of those that do. From what I've read, it's a hard craft to learn, but once you do, it's one of the easiest crafts to make. My grandmother did beautiful tatting. I have cross bookmarks she did. I took a tatting class at a craft store and made two snowflake ornaments, but they don't look like my grandmother's work. If I tried to tat today, I wouldn't know where to begin. That's so cool that you have something your grandmother tatted. I have a couple of quilts two of my grandmothers made but no tatting. My great-grandmother would use tatting and pressed flowers form her garden to make beautiful stationary. I've always wanted to learn since I love the dainty look. One of these days... :) Thanks for all the links- I'm going to save this on my Pinterest board for later! Oh wow, that sounds lovely. Do you have a picture of one of your great-grandmother's creations? I'd love to see it. How lovely! I was not familiar with tatting and look forward to learning more. 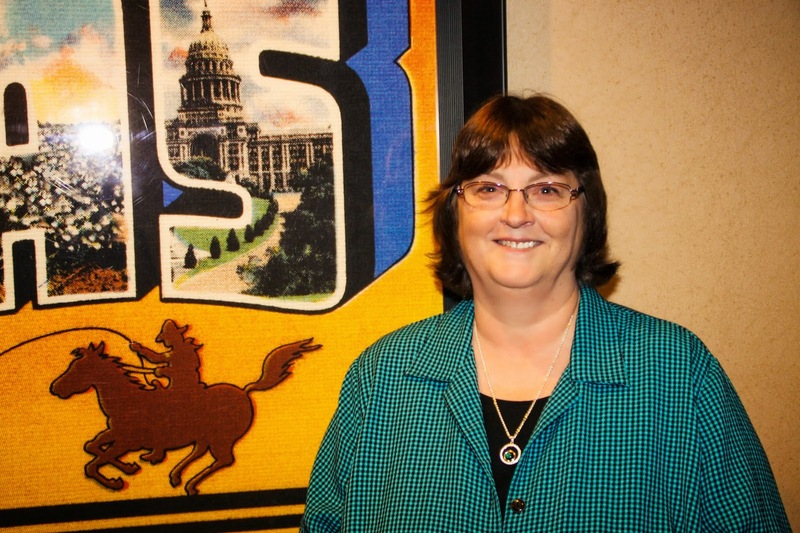 Thank you for sharing a great post and informative links! Thanks for visiting CFHS, Britney. I think tatting is close to becoming a lost art. You rarely hear about it any more. Enjoyed reading about tatting. My Grandmother taught me how to crochet, knit and do tatting. My thing was crochet and embroidery. I am sorry to see that the youth do not participate in the needle arts. They would rather spend time like that on their tech toys. Thank you for the wonderful post, Vickie. My grandmother did tatting. I always remember her having a straight pin stuck in her dress up near her shoulder. She would use the pin to work out knots. 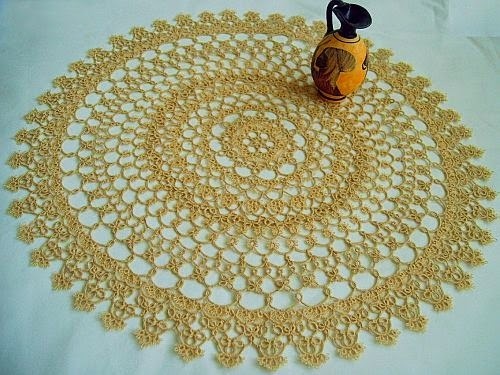 My mother did beautiful tatting too, and I have a tatted doily she made, plus other items. I did learn to tat, but didn't follow through with it. I do cross stitch, crocheting and knitting. You're a crafty lady, Nancy. I'd love to see a picture of your grandmother's doily. And isn't that an interesting tale about the pin in her dress. You need to use that in a book some day. Great post, Vickie. I love tatting, but could never get the hang of doing it. I watched my step-grandmother tat and have pieces she did for me when I married. I also had a long strip that decorated the edge of a pair of pillow cases. We saved the tatting when the cases wore out, but I have no idea where it is now. Never did get the hang of crochet either. Vickie have you tried Swedish weaving. It is usually not to hard for lefties! Hi Vickie, interesting post about tatting, my Mom did lot of different things but I never had talant for any it seems. she once even sewed baseballs for a company. I like to dab in writing and doing birthday cards on the puter also enjoy gardening with flowers and shrubs. thanks for info on this subject. I am looking forward to this next prairie book you have coming. love to read. I loved your post, Vickie!